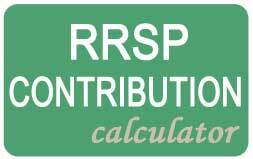 What should you do when your RRSP matures at age 71? 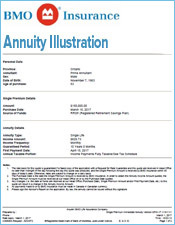 Do you buy a RRIF or an annuity? 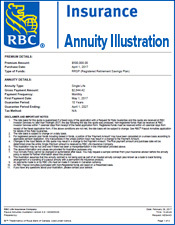 Your RRSP matures at age 71, do you buy a RRIF or an annuity? 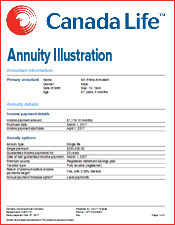 There are numerous factors involved in this decision when you turn 71 some optional, some financial, but all concerned with the capital providing an adequate income for life. 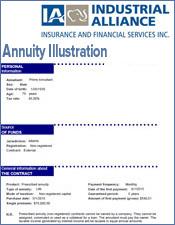 As both RRIF and annuity brokers, we take an independent position, which is influenced solely by the needs of the particular client. We have set out our thoughts under various headings below but will be happy to read your comments and answer suggestions for other considerations. 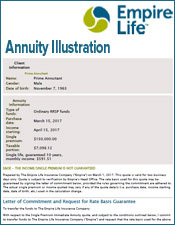 These comments apply to those that have waited until age 71 to buy a RRIF or annuity, but can apply in other circumstances also. 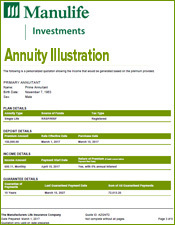 With a RRIF at age 71 you can keep your capital invested in GIC's, investment funds, bonds etc. You withdraw an increasing annual amount as dictated by the government. 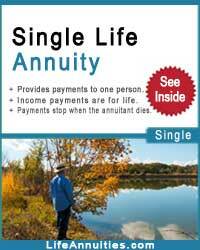 You receive a fixed amount of income for your lifetime and that of your spouse of included. Your income does not change. With or without inflation, your investment needs to keep earning comparable income to match the increasing withdrawal amounts. 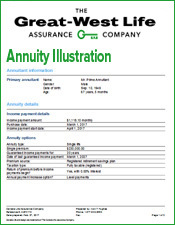 Inflation works against annuities which is why we recommend you self-index each annuity payment by saving a fixed percentage of say 5%. You need to stay in touch with current economic conditions to make certain that you always earning more than you have to withdraw. 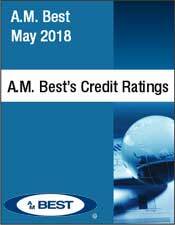 If you or your spouse become seriously ill, you will need to consider whether you will need to consider whether you have the time, ability or interest in maintaining the account. 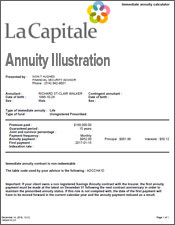 Annuity - There are no charges possible in the account. 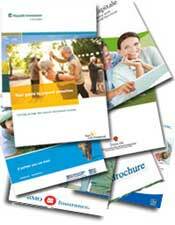 As you age from 71 to 80 and older, you need to make sure that you are up to date on retirement matters. 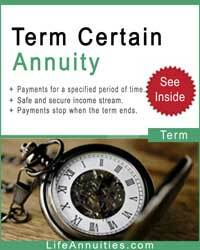 And if you decide to change to an annuity, you need to make sure you have sufficient capital for your income needs. 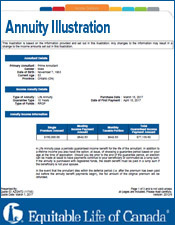 So which one do you choose a RRIF or Annuity? 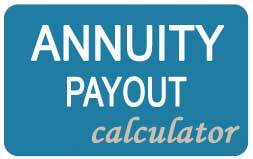 Assume the annuity is paying $5000 per annum per 100k. 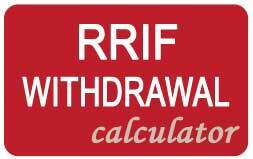 Will the best RRIF pay 5% or at least the amount of the necessary withdrawal? 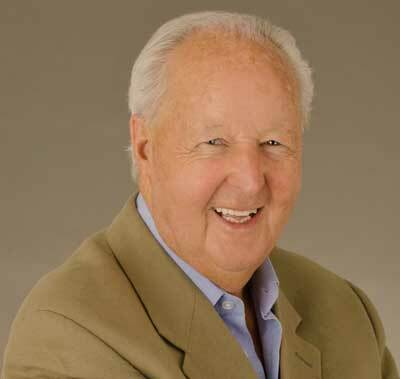 Remember at age 71, you may not have a lot of choices to build capital. 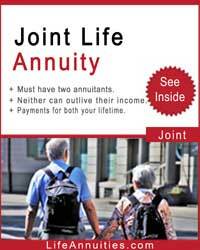 You choose the company offering the highest income and it continues for your lifetime. 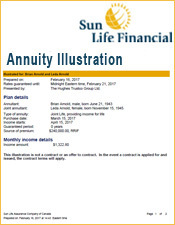 At death, any remaining RRIF capital or guaranteed life annuity payments are taxed in one lump sum, with the proceeds, if any, going to the estate or named beneficiary. 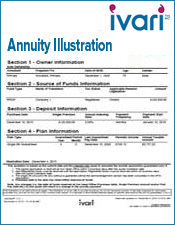 Accordingly RRIFs or registered life annuities are not suitable bequests for beneficiaries. 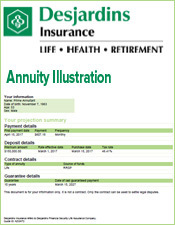 It is only you and or your spouse that can enjoy a continuous income and benefit from your savings.